Chelsea 1 - 0 Southampton - Missed the game due to a delayed flight. We were scheduled to leave at 8:30 the evening prior, but didn’t take off from JFK until 2:18 a.m. By the time we touched down and cleared customs, it was past 3 p.m. UK time. 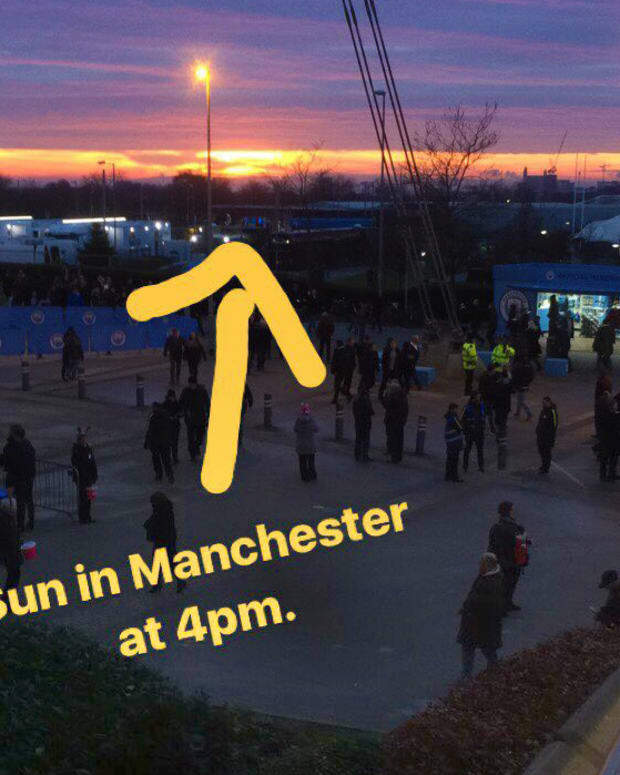 The game had already kicked off and the sun was almost completely down. The sun may never set on the British Empire, but, in the winter, it is perpetually setting on Britain itself. Bournemouth 0 - 4 Liverpool - Not the most competitive game of football I’ve ever witnessed, but watching Liverpool attack, “running like a five-line poem,” in the words of John Oliver, is a site to behold. 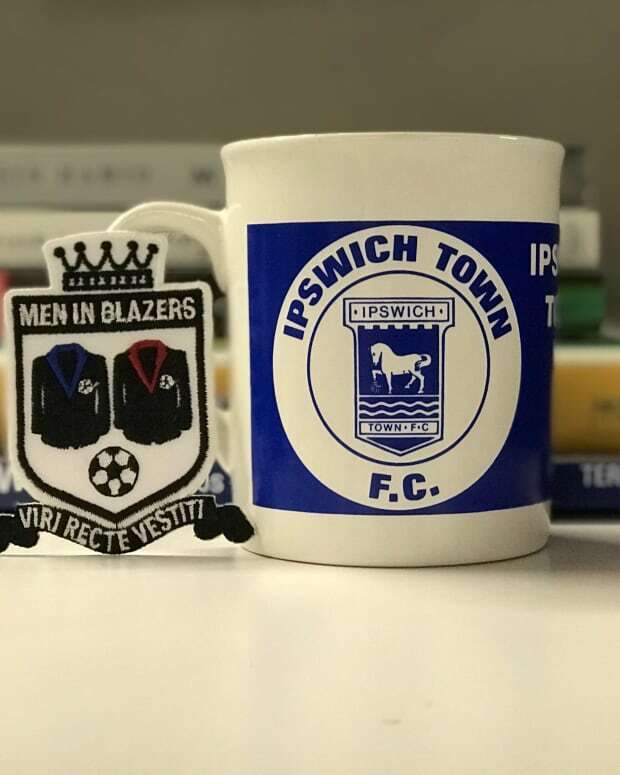 While the Cherries’ football was more, shall we say, prosaic, the game day experience at the Vitality Stadium was worth the two-hour train ride to the South Coast. The 11,360 capacity ground offers a look at the sweeter side of Premier League football. Families abound. A custom coffee shop serves flat whites in a tent on the South End. And, even at 4 - 0 down, a group of elementary school-aged kids in Bournemouth strips chanted, “Eddie Howe’s Barmy Army,” with unabashed enthusiasm. To visit Bournemouth is to time travel back to an age in one’s life when football really is everything. While football in person is always a treat, and memories made with my friend will live forever, the real star of this trip was one-word, three letters: PIE. Getting an early start on my New Year’s resolution to up my starch intake, I tucked into four pies in four days. 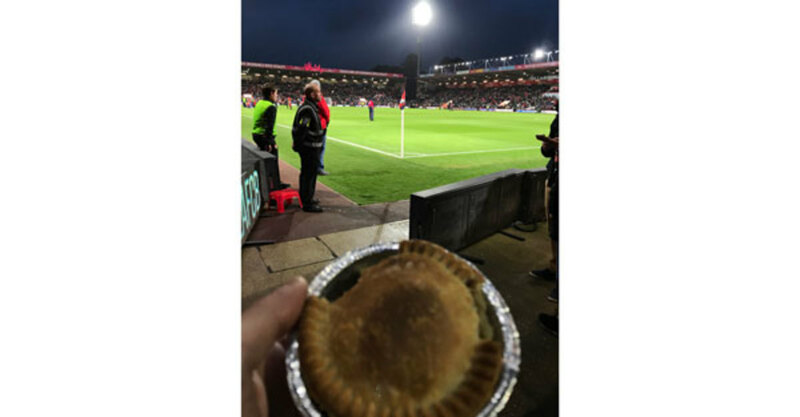 A steak and kidney number at Bournemouth (pictured below) that was, bar none, the best football ground pie I’ve ever eaten. A chicken and mushroom at The Pig’s Ear in Chelsea, which was delicious, but a touch highfalutin (I like my pie like I like my football, agriculture). And, at the suggestion of GFOPs via The MiB Universal Pie Guide, not one, but two from Piebury Corner: The Tony Adams, steak and ale. And The Vieira’gterian, potato, cheese, onion and garlic. Like the player after which it was named, the former is sturdy, dependable, and does a job. The latter needed some HP Sauce and a pint of Guinness to help it down. All in all, an amazing trip, best summed up by this Pieku I wrote on the flight home. Are you sure this meat is safe?